Golegã – A National Treasure! 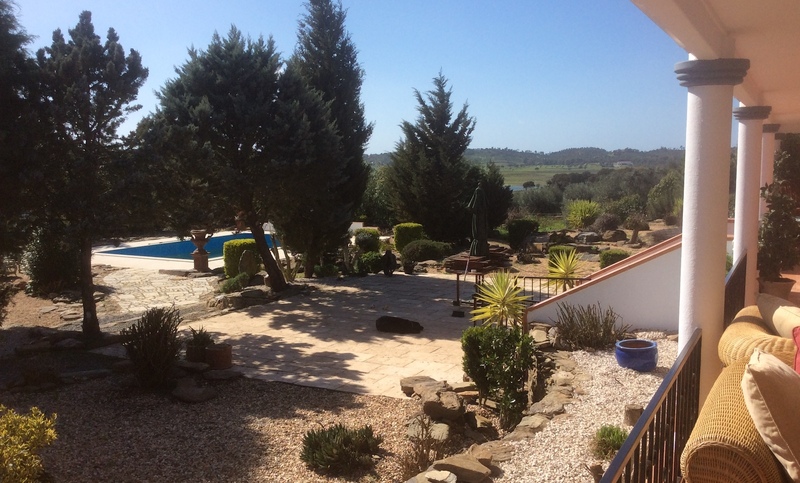 This stunning property in located about 1 hour from the Algarve. It is a beautifully and lovingly developed property ideal as a private home or as an equestrian tourism opportunity. The current owners have been living there for the last 25 years gradually improving it. 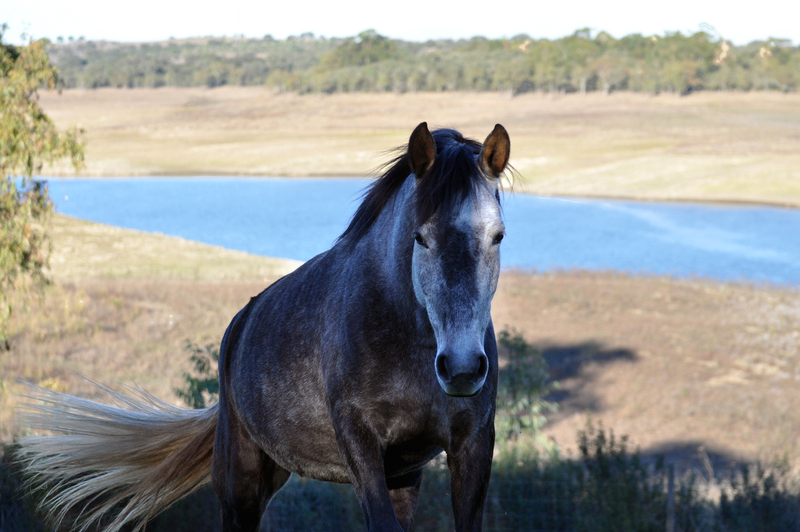 It has been a private home and a small Lusitano Stud Farm. Now there are some horses in livery generating a good monthly income. 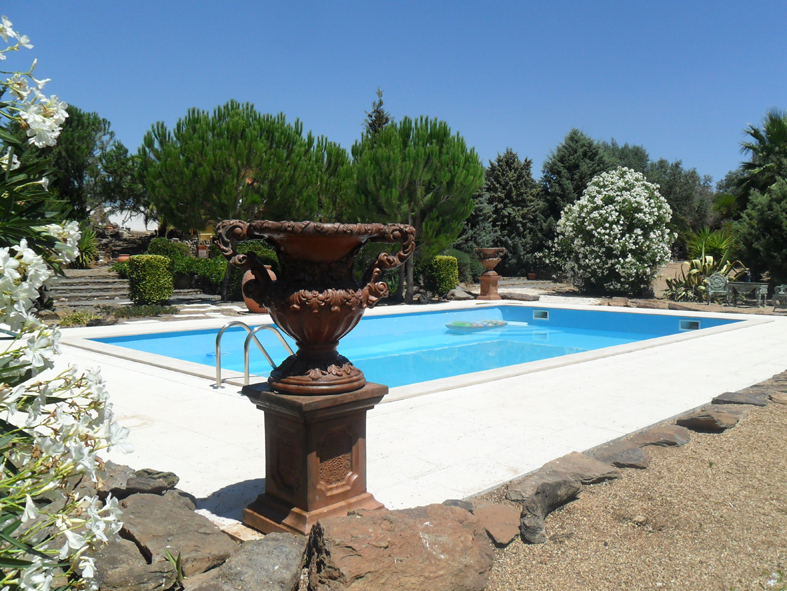 The property is located to the North East of Ourique on a peninsular on Barragem Monte da Rocha and has private access to 1.5 of lake shore. The gross acreage is 15 hectares with 4 development sites available with a total permissible development m2 of some 800m2. There are 2 parts attached to the property. There are a further three small properties which are for sale separately…ideal for groom accommodation etc if required. The principal villa whilst registered at 154m2 is actually just over 300m2 when the outside verandas and terraces are taken into account. The house has 3 bedrooms and 3 bathrooms, large kitchen, dining room and sitting room. Beautiful outdoor areas for relaxing and entertaining. The swimming pool is private and very well built. The villa sits on circa 1 hectare of professionally landscaped garden with 6 x 12m swimming pool, private borehole, automatic irrigation system and is 100% photo-voltaic with automatic generator backup. A low maintenance fully independent property. 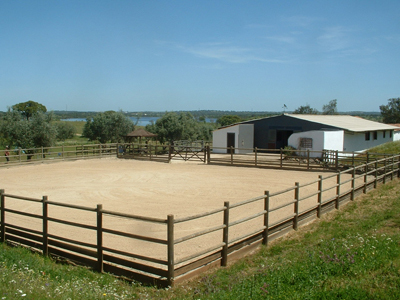 The main farm property located on the lake shore is 14 hectares consisting of an American Barn, construction being block and ring beam with 9 boxes 4m x 4m and 2 further attached stallion boxes again of 4m x4m in size. Total size is circa 650m2. There is an attached hay barn and an additional workshop. The stable block has a double foaling box, indoor and outdoor washing areas, feed room, secure tack room, toilet and washroom, outdoor sand school and a full international sized dressage arena. The stables have their own borehole with a 5,000 litre header tank. The land is divided into fully fenced paddocks with 5 bar galvanised entrance gates and individual water supply. There is top grazing in this area and grazing for over 6 months of teh year one the best grass areas in the Alentejo. The property is surrounded by ecological zoned land and is extremely secure and private. It is possible to contruct a covered arena within the Agricultural zone without restriction, there are a viable number of options which we can advise on a site visit. If you are looking for further land there is up 50 hectares more available locally. Lusitano Horse Finder is proud to support The Brooke Organisation, an international animal welfare organisation dedicated to improving the lives of working horses, donkeys and mules in some of the world's poorest communities.